In 1972, Jeff Rice's novel The Night Stalker introduced Carl Kolchak to the world. This spine-tingling novel of supernatural terror became a bestseller and served as the basis for the film of the same name, starring Darren McGavin and adapted by legendary Twilight Zone screenwriter Richard Matheson. After The Night Stalker became one of the highest rated television movies of all time, a sequel, The Night Strangler, was released the following year to great acclaim. Carl Kolchak, as the world's first paranormal investigator, would prove to be an irresistible draw for viewers and inspire a weekly dramatic television series which debuted in 1974. 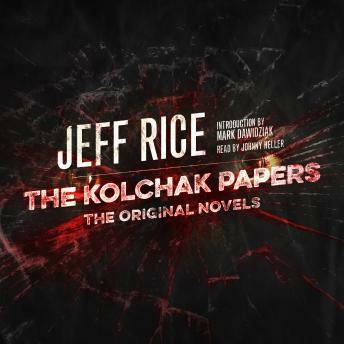 Now, after more than three decades out of print, Kolchak's creator Jeff Rice has released the original novels which sparked the television phenomenon! At last, The Night Stalker and The Night Strangler are together in one volume ... The Kolchak Papers!